Don’t care about what other people think of you. There will always be those people who want to see you fail because they can’t succeed. 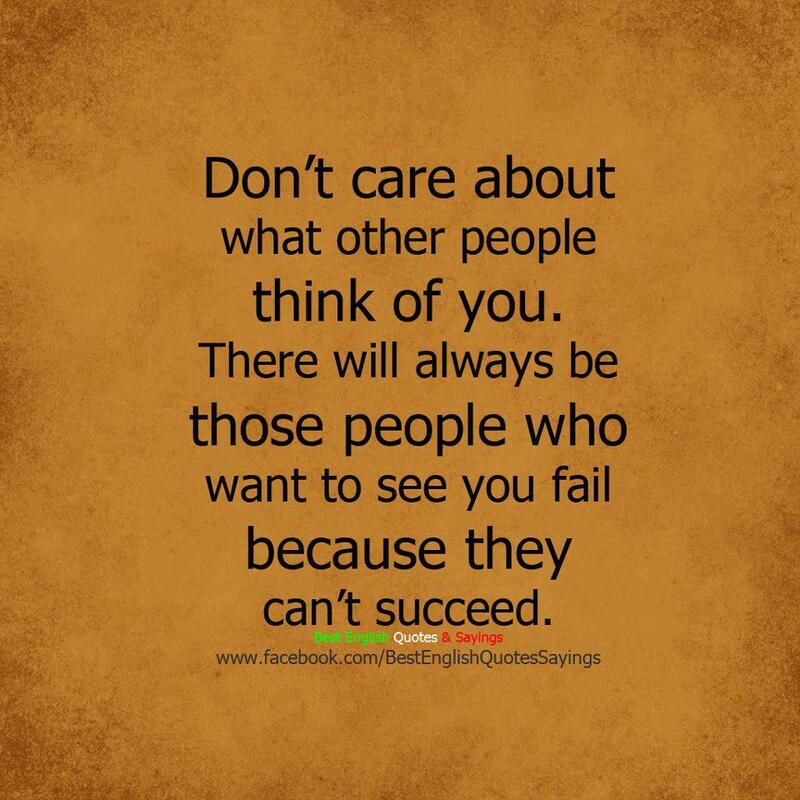 Quote : Don’t care about what other people think of you. There will always be those people who want to see you fail because they can’t succeed. This entry was posted in Quote on August 10, 2014 by narongt1979.